This title may have some of you may be wondering, what is a maquette? A maquette is a small-scale version of the sculpture which operates as a rough draft to prepare the artist to begin their large-scale work. Co|So artist member Michael Alfano’s maquette of Milton Friedman and his wife Rose Friedman, was recently on display at the Chesterwood Museum in Stockbridge. During the exhibition of his maquette, Michael Alfano gave a sculpting demonstration at the historic home of the renowned sculptor, Daniel Chester French. The 150-acre estate now operates as a museum, sculpture garden, and a great place to learn about the art of sculpture! Milton Friedman (1912 - 2006) was an American economist who received a Nobel Memorial Prize in Economic Sciences for his research on economic history and theory in 1976. Rose Friedman was a free-market economist and both were co-founders of the Milton and Rose D. Friedman Foundation. For the past twenty years Michael Alfano has been sculpting figures, monuments and philosophical pieces. He studied sculpting from the model at the Arts Students League in New York City and has become an accomplished realist and portrait artist. It is his aim to create art that relates to the everyday experience, yet causes people to think and understand life more fully. His main inspirations are Salvador Dali, Jo Davidson and Jean-Antione Houdon. 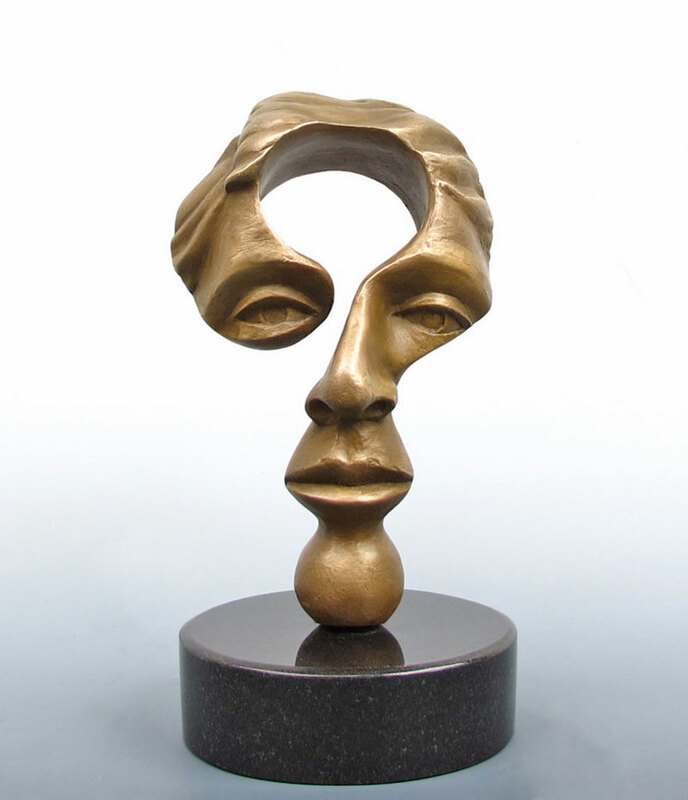 In other sculptures by Michael Alfano which he has exhibited at Co|So, he creates figurative and surrealistic sculptures that often go beyond literal interpretation, adapting the figure to convey philosophical ideas and abstract concepts. Michael Alfano’s work is very prominent all over Boston. To see more of his art, take a trip to the Museum of Science or to the starting point of the Boston Marathon in Hopkinton.